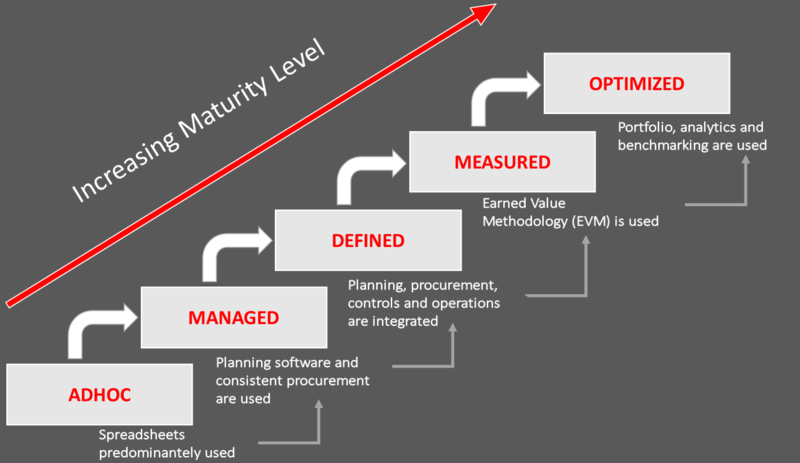 There are a number of critical pre-requisite processes, controls and systems that need to be in place for effective project execution. Together these form a solid foundation for the Project Management Office. Allowing for flexibility and consistency despite the number of stakeholder organizations involved is hard to achieve. A common practice is for project owners to develop a new Control Framework each time a new project is undertaken. This new framework then needs to be integrated into several project systems such as supply chain, project finance/accounting, and so on. This ecosystem is then temporarily embedded into each stakeholder organization. In most cases this approach significantly delays the project, considerably drives costs up and completely removes all liability from the stakeholders. What if there were a way to keep Engineering, Procurement and Construction vendors accountable? What if unstructured Project Management Offices instantly had a robust foundation from which to execute all of their projects? What if Project leadership had all the information needed to make effective decisions in near-real-time? Using the collective knowledge of actual hands-on project experts and building on social, cognitive and effective neuroscience, OnTrack Engineering has put the latest in technology together with proven governance models to redefine project performance. The OnTrack Control Framework (OCF) and its enabling project solution can enable any organization to manage and deliver regardless of the number of participating service providers. The effective distribution of vital project information is often the difference between success or failure. Ensuring the right information gets to the right person, at exactly the right time, should seem like an ordinary task for any experienced in project organization. This task if not executed properly can undermine routine processes, and impact the entire scope of the project. The OCF (TM) built into OntrackPM bridges this potential pitfall by enabling team members to send and receive information in near-real time. OnTrackPM can be configured to establish role-based notifications that will automatically alert stakeholders to potential changes that may significantly impact the project. Electronic approvals are available from REQ through Invoice payment including the approval of trends and changes. Via the collaborations and notifications features stakeholders will be notified when something that is in their purvey is off track. Because OnTrackPM’s platform is compatible with today’s most powerful web-services, these agile productivity tools can be accessed from almost anywhere in the world. OnTrackPM is the indispensable tool for organizations that want to track, log and coordinate the information stream of an entire project. The volume of information needed to be analyzed in order to execute complex projects presents organizations with both a challenge and an opportunity. Most organizations understand that capturing the data is only one aspect. The most successful companies learned that it is vital to have proficiency in transforming that information into actionable business intelligence. To realize the benefit buried in vast collections of data requires tools that will organize this information while giving detailed and accurate insight into a project’s execution. The OnTrack Control Framework provides the backbone to our software that not only allows managers and executives to run detailed reports across any project discipline; they harness the massive amount of project data generated to create accurate and reliable forecasts throughout the asset lifecycle. Not only does OnTrackPM provide managers with near real-time visibility during execution, it gives equal value in traceability. This means when it is time to handover the project to the client or operations there will be a much smoother and complete transition. Having OnTrackPM being the single system of record provides the comprehensive audit trail demanded by clients and the means to record any lessons-learned for innovative applications in future projects. OnTrack PM is anchored by the philosophy of a single system of record, as this provides unsurpassed capability for handling vast stores of valuable project information. We have made this a cornerstone of our software after noticing repeated complaints from our partners who uncovered glaring inconsistencies with their project data as a result of using separate, stand-alone software systems. We maintain the key solution to enhance project performance is achieved through the elimination of duplicating information across multiple software systems. The level of integration that OnTrackPM provides allows for a single system of project record to not only reduce transcription errors, but dramatically increase the speed by which information becomes available to project stakeholders. Increasing the accuracy of information while alerting stakeholders in near real time allows for removal of potential roadblocks before overall project health is affected. An additional benefit realized by establishing a strict rule for data guardianship is demonstrated by the expanded visibility into all project data. This has a profound impact on effective project management, especially once information is captured and distributed across a widening scope of project disciplines. We bring our partners tremendous improvements in efficiency as OnTrackPM breaks down barriers to progress inside their organizations. Because of the OnTrack control Framework stakeholders can rely on the validity of ongoing project updates and confidently develop project forecasts with greater certainty in their results. The role of project management software in today’s business environment has never been more important to help ensure successful project execution. This had made it incumbent on software developers to provide project practitioners with the tools that will support the most rigorous engineering and construction projects. In the process of identifying this need we began creating the OnTrack Control Framework (OCF TM). This allowed us to develop OnTrackPM, a purpose-built software package that incorporates the most powerful and trusted technology platforms available in the 21st century. We believe: that you cannot ignore any detail or plan what you do not know, that all transactions must be documented, duplication and repetition need to be avoided and providing instant answers to questions and satisfying your stakeholders. These are some of the benefits achieved by basing the design and structure on the concept of functional integration. All of OnTrack’s components run on the same web based software platform and access the same sources of data. This integration facilitates the powerful performance and reporting capabilities of the individual functional areas, and ensures consistency of information throughout the system. OnTrack is not an integrator for project controls as such. Instead, OnTrack links to planning software and ERPs. Competing approaches lack much of OnTrack’s resulting functionality, such as financial reporting, collaboration and procurement. OnTrack is an integrated solution on a single platform. Data entry is accomplished with standardized inputs designed to work together. These templates were developed and refined on thousands of projects over 30 years. Consistent with PMI and AACE best practices, more than 400 standard reports are available, helping you to standardize your operation and improve your efficiency. Integration also facilitated OnTrack’s other structural advantage of being the single system of project record.